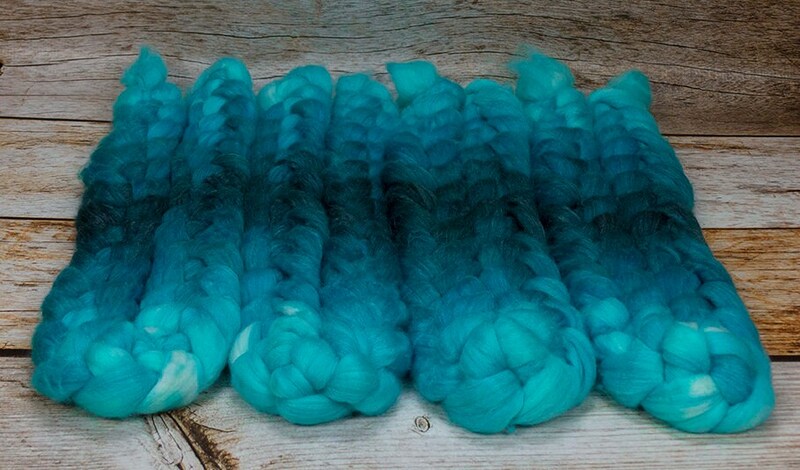 Undine / Lleaf Handpainted SW Merino-Bamboo-Nylon Combed Top/ 4 oz. 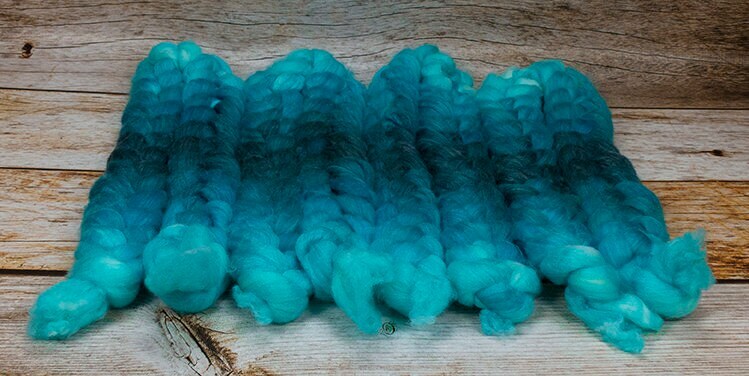 Approximately 4 ounces of 60/30/10 Superwash Merino/ Bamboo/Nylon combed top. Handpainted using Jacquard Acid Dyes. This fiber has an average staple length of about 3.5 inches and is next-to-skin soft. Perfect for spinning sock yarn! This product comes from a smoke-free household, but not a cat-free one. The cats do not however, come into direct contact with any of the fiber. This fiber is rinsed in water containing a touch of Lavender Oil for moth repellency. I recommend gentle hand washing in cold water and drying flat in order to maximize the life of your creations, although you may machine wash gentle on cold. Do not machine dry. While I attempt to capture images which accurately represent each product, colors may vary from monitor to monitor. As a handpainted item all colorways are unique. If you would like a larger quantity of a particular colorway I would be happy to custom dye something as closely as possible. US orders under 13 ounces are shipped by First Class Mail. US orders over 13 ounces are shipped by Priority Mail. International orders are shipped by First Class Mail. Custom orders are always welcome! Thank you for taking the time to look at my products & happy crafting!